Is There Good News About Energy? In the face of the BP disaster, it would be all too easy to lose hope about our energy future. But it’s possible there might be a silver lining in that oily cloud: if we’re lucky, the spill may prompt a deeper conversation about the need to find new, global, scalable solutions to meet our energy needs. As part of that conversation, we’d like to invite you to join our Energy News Hunt, with social news site NewsTrust.net. From June 7 to 20, 02010, The Long Now Foundation and its Long News initiative are partnering with NewsTrust to find good journalism about the future of energy — with a particular focus on low carbon technologies and innovative solutions that can scale quickly into terawatts. For a sense of the scale required, see Saul Griffith’s talk on Climate Change, Recalculated. We invite you to join forces with us and NewsTrust, so that together we can find some of the best (and worst) coverage of this important topic. NewsTrust is a community of citizens and journalists who rate the news based on quality, not just popularity — by reviewing articles for accuracy, fairness, context and other journalistic qualities. Joining the Energy News Hunt is easy and informative — and you can contribute your expertise in just minutes. Simply review stories listed in our Energy topic page — or post other interesting articles you have come across on this topic. As you review these stories, you will learn more about important energy issues, and you will become more aware about the quality of the news you consume. To get started, sign up on NewsTrust’s special welcome page for The Long Now Foundation. This will let you review stories on NewsTrust and get the full benefit of their free service. 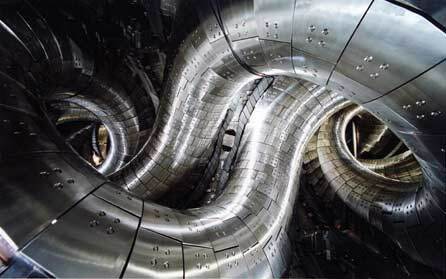 On June 16th, 02010, The Long Now Foundation is hosting a talk about fusion energy by Ed Moses of the National Ignition Facility. If you live in the Bay Area, this is a great opportunity to learn about his groundbreaking work on laser fusion. This News Hunt is intended as a companion for this talk, to help share quality news and information about this complex topic. Throughout the Energy News Hunt, News Trust will update its blog to feature some of each day’s best finds: featured stories recommended by our hosts and editors.